Better performing, better looking, and even more fun to ride; everything about the new Street Twin is designed to deliver maximum enjoyment. Representing a major step forward for Triumph’s most successful custom classic, this new generation brings more torque-rich Bonneville power, higher specification equipment for more control & comfort, new first-in-class technology, and more premium style. 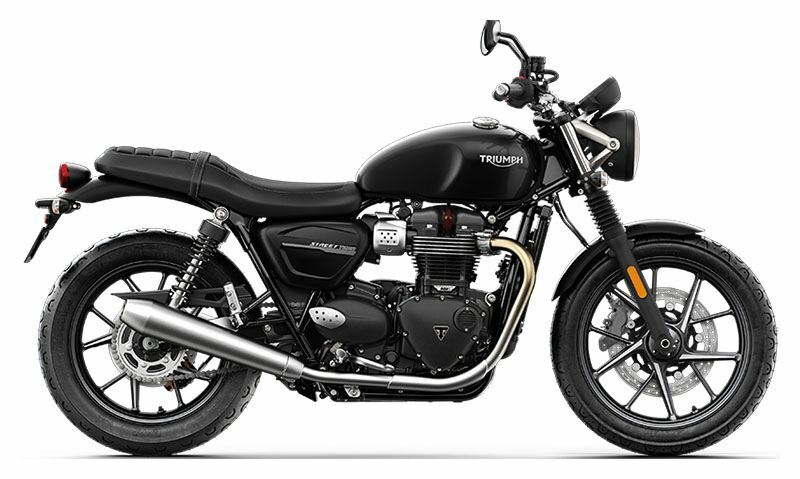 In addition, there’s maximum customising capability for riders looking to add to the authentic character of a modern classic that’s world renowned for its accessible all-round performance, usability, riding feel and timeless iconic style. NEW BREMBO FRONT BRAKES: Get excellent stopping power, with better bite and greater rider control with the Street Twin’s new 4-piston Brembo front brake caliper. NEW CARTRIDGE FORKS: Higher specification 41mm cartridge forks offer 120mm travel for a more comfortable and confident ride. 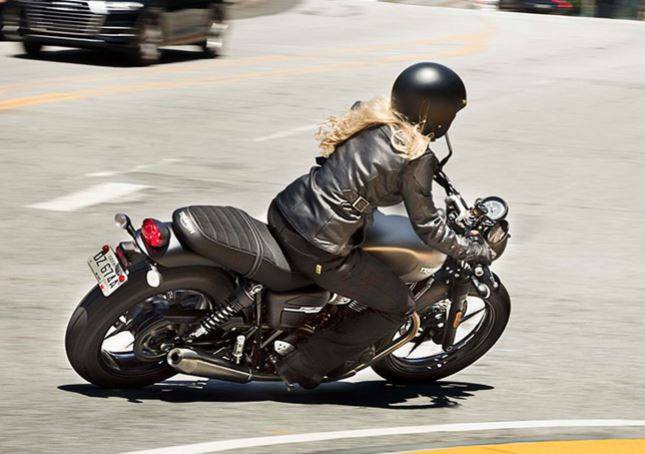 FIRST-IN-CLASS RIDING MODES: New to the Street Twin, and first in class, Road and Rain riding modes adjust the throttle map and traction control settings for more riding control, via a dedicated mode selection button incorporated into the bike’s left hand switchcube. TORQUE-ASSIST CLUTCH: It’s easier to enjoy your Street Twin ride for longer with a Torque-assist clutch that’s optimised to reduce the rider’s clutch lever effort, especially during stop/start urban rides. The resulting reduction in clutch packaging also facilitates a narrower engine. NEW TPMS CAPABILITY: For greater rider convenience, Triumph’s electronic Tyre Pressure Monitoring System (TPMS) is now available as one of the new Street Twin’s 140+ accessories. ABS & SWITCHABLE TRACTION CONTROL: Latest generation ABS and switchable traction control manages the Street Twin’s thrilling torque when it’s required. Compact, responsive, and incorporated with minimal visual impact, these contemporary safety standards can maximise rider safety. 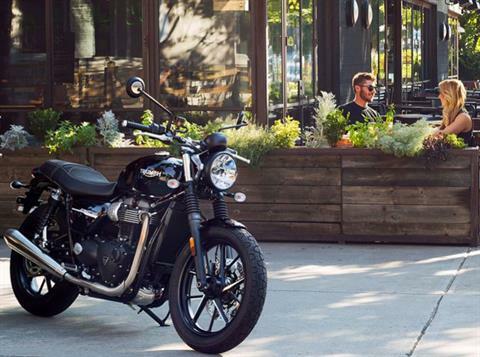 ADVANCED RIDER-FOCUSED TECHNOLOGY: Other advanced rider-focused technology for this new Street Twin includes a power-efficient LED rear light with distinctive pattern, Triumph-badged immobiliser, and USB charger located discreetly under the seat. 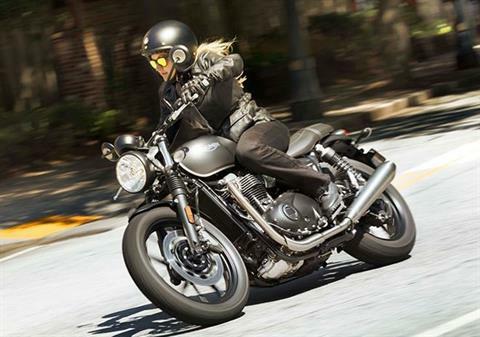 ENHANCED COMFORT & RIDER ERGONOMICS: Already renowned for its confidence inspiring accessible ride, this Street Twin delivers even better rider ergonomics and comfort, courtesy of a revised riding position and improved seat construction. NEW CAST WHEELS: Cast aluminium alloy multi-spoke wheels with machined detailing, fitted with Phantom Sports Comp tyres for capability and durability. ICONIC PREMIUM STYLING: Even more contemporary finishes and detailing combine to give the Street Twin an added level of premium quality. Rear - Cast aluminum alloy multi-spoke, 4.25 x 17 in. Front - 2.75 x 18 in. Rear - 4.25 x 17 in. 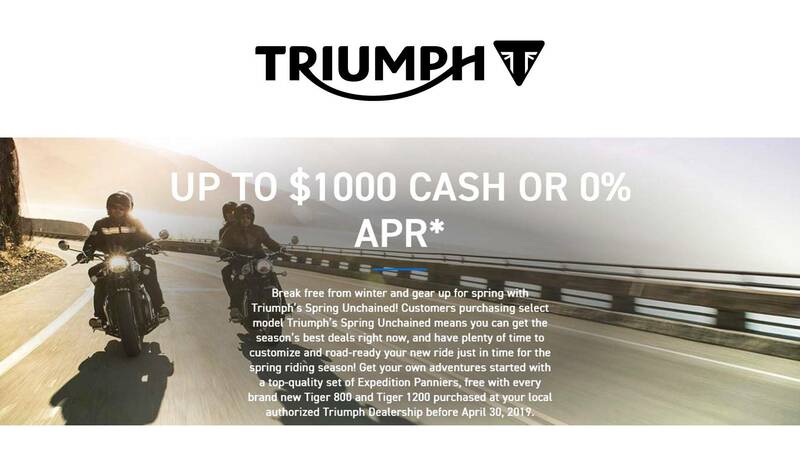 Visit us: 2677 Route 17M Goshen, NY 10924 Back to BMG Powersports, Inc.